Garden apartment with 3 bedrooms and 3 bathrooms in this spectacular new development that has been integrated beautifully in the surrounding nature and built to the highest standards. This unit offers the possibility of a pool or jacuzzi in the private garden. With the kitchen being fully fitted with high end appliances and opening up with a breakfast bar towards the open plan living and dining areas which leads out to the terrace and the garden. The floor to ceiling windows lets plenty of natural light in and the bedrooms are spacious with luxurious bathrooms and dressing rooms plus fitted wardrobes. Hot and cold air conditioning, multiple choices of floor tiling, home alarm system, rain showers in the main bathroom plus fantastic sea and golf views. The common areas have been designed to be enjoyed at all times with well manicured gardens, a large infinity pool with a Spa-area and two water canons plus a unique out door gym in Italian design available for the owners and their guests. 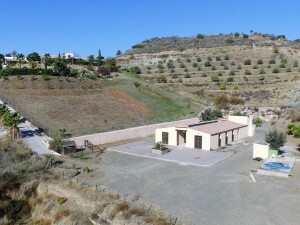 Storage and underground parking available. 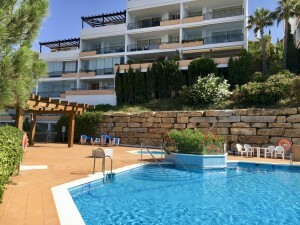 With only a short drive to Estepona, Puerto Banus and next to a 5 star hotel and plenty of excellent restaurants, bars and shops close by this is a perfect location for both investors and as a holiday or all year around home.